The Primal Youth Trust presents ‘UNDEFEATED’ a nationwide suicide prevention and awareness campaign, high school tour and resource website. The campaign exists to inspire and empower the youth of this nation, to remove the shame around asking for help and help raise the standard of living. According to the Ministry of Health New Zealand Suicide Prevention Action Plan 2013 – 2016, suicide is a major issue that is of real concern to New Zealand communities. Every year approximately 500 people take their own lives, affecting the lives of many others. We agree that these deaths are preventable. The release of these findings prompted the Primal Youth Trust to pioneer UNDEFEATED in 2013 as a mechanism to prevent youth suicide in New Zealand. The prevention of suicide is a complex issue and we acknowledge that a collaborative approach between high schools, parents, youth communities, peers, teachers, government and non – government organisations is essential to reach the youth of New Zealand. The key message of the program and campaign is it’s ok to not be ok but reaching out for help is vital in order to live life Undefeated. The campaign is all about presenting young people with three very clear accessible pathways to talk about and overcome depression, anxiety and any other issue that maybe getting them down. We use known faces and personal stories from the music, dance and sports industry to captivate and communicate to young people and encourage them to reach out for help. New Zealand is a the nation with the highest youth suicide rate in the world (according to UNICEF June 2017). There is a continued and urgent need for a campaign like this in our high schools and universities. To date the Undefeated show has toured over 50 high schools, 5 intermediate schools, 9 cities and reached over 30,000 young people with a message of HOPE and PURPOSE. The key messages are centered around reaching out for help, rising above your circumstance and not allowing your struggles to defeat you but instead to strengthen and propel you forward into a positive future. The tour features a free to schools 25 minute show. It’s an upbeat creative presentation about holding onto hope and living with purpose. The show features hip-hop sets, MC, inspirational youth communicators, giveaways and an interactive competition. The show is booked in lunchtimes or assemblies and has featured messages and performances from Chart topping NZ recording Artist Pieter T, NZ All Black Sevens Player Rocky Kahn and Sample Foundation Dance Crew. Formally toured with 2 year silver medalists of the world hip hop championships IDentity Dance Crew, Unashamed Krump, Hip Hop & Step Dance Crew and Prestige Dance Crew. Our show presents young people with three clear, accessible pathways to reach out and overcome depression, anxiety and any other issue that may be getting them down. In life we can feel isolated, alone, and like no one cares. It’s important to remember that help is always at hand. While it may feel like you’re alone, here are three easy pathways to get the support you need for yourself or a friend. If you’re feeling isolated or need support, call the Youthline 24/7 youth helpline on 0800 37 66 33 or Free Txt 234 between the hours of 8am and midnight. Visit www.youthline.co.nz. It’s ok to ask for help, and if you’re at school talk to your high school counsellor who is onsite during school hours. Become part of a positive environment by attending your local Primal Youth Community. Visit www.primalyouth.nz to find your local community or find them on Facebook. At Primal you will receive support from peers and role models. You will have ongoing mentoring, leadership development and support. As a young person who suffered from Depression and Post Traumatic Stress Disorder (PTSD) I struggled to find help. I was in a dark place that left me feeling alone and disconnected, with no sense of purpose or identity, that led me to suicidal thoughts and at its worst an attempt at suicide. When a friend of mine invited me to Palmerston North Primal I felt a strong sense of belonging, the environment was great and everyone welcomed me with enthusiasm and interest. Since then I have been a leader in Primal and now been through Leadership training to run a Primal in Palmerston North, my passion is to equip young people who are experiencing similar situations that I once faced. Hi, I know you don’t know me and you may or may not read this but I had to at least try. I just wanted to say thank you so much for your speech at the Undefeated tour in Keri keri. It got me thinking and you really did save my life. I was so close to ending it all but your speech was amazing. I feel so much better knowing that there are people out there that care. I hope you continue to impact other young peoples lives because you truly are a lifesaver and you are such a big inspiration. I can’t thank you enough. We know the biggest barriers to asking for help are internal. According to our annual Youth Health Survey, conducted by Colmar-Brunton, one in two young people do not feel their problems are big enough to ask for help and that the single greatest barrier to asking for help is embarrassment. As an organisation, we are working to change these statistics. We seek to be as accessible as possible, and this means communicating in a way which young people can relate to and find relevant. We are proud to be working alongside UNDEFEATED and Identity Dance Crew to deliver the message that “it’s ok to be not be ok” and to put your hand up if you need help. To witness these talented young dancers share their stories, through hip hop, is inspiring. Through their performance they are challenging stigmas and leading change by example. 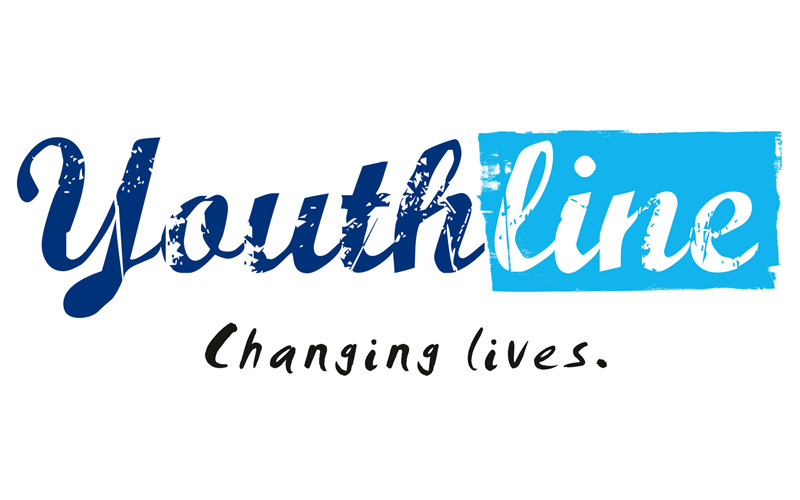 Youthline is working to five overarching aims, and they are to ensure that every young person knows where to get help; feels okay asking for help; is equipped to help a mate out; young people are involved in things that light their fire and are supported as agents for change working with families and communities to make all this happen. We are proud to support UNDEFEATED, and applaud them for stepping up to be the change. ‘Undefeated’ visited our school and delivered a stunning and professional dance performance whilst also communicating a clear message about preventing youth depression and suicide. Our students, many of whom come from difficult family circumstances, connected with all that was said and done at a very deep level. The ‘Undefeated’ presentation helped us in our pastoral care of our students to speak with our boys and young men more openly about these issues. I have personally observed the great success of this campaign during this year, and believe that Undefeated has had a very positive impact on the lives of the students that have had an opportunity to be involved. As a secondary teacher I am well aware of the enormous problem of depression and anxiety among young teenagers in NZ and the impact that this has not only on the lives of those affected but also their families. It is clear to me that a major factor in getting young people to both understand what this is and how to deal with it is the influence of positive role models, particularly those that the students aspire to be like. Dance and particularly Hip Hop Dance is an art form that engages and involves a huge number of young people from all socio economic areas. They look up to those dancers in our community who have worked hard to achieve goals and have the opportunity to represent their country in an international arena. Identity are nationally recognized by a huge proportion of young people as can be seen by the number of youth that follow them on social media and attend their events and workshops. Identity are young men from very diverse backgrounds who, as well as being NZ national champions for the last 2 years, are also active in the community as mentors and teachers of dance. They themselves are a testament to the positive impact that dance can have on young lives and in particular promoting feelings of wellbeing and positivity. The group have been together for the last five years and gave up a lot of their personal time to come together and train to become recognized. Although the intent was just to be a champion crew, the spin off has been their commitment to bettering themselves in all areas (the majority of the team are currently in or have completed tertiary study) and maintaining fitness and discipline. They have been delighted to have the opportunity to share their path to success and their positive attitude with young people, and judging by the huge amount of positive feedback they have had personally, clearly they have made a difference. I have been actively involved in the Arts and education sector for the past 25 years and have a particular interest in the way that dance can be a conduit for helping young people embrace good health and personal development. Dance is also a group activity that encourages people to work collaboratively towards a goal. As a secondary teacher I have seen these benefits first hand. I applaud the Undefeated programme, as being a campaign that addresses vital issues in a way that is extremely popular and accessible with young people. As an added bonus, the fact that it is also free for participating schools means that the programme can reach many more of our youth. I have no hesitation in supporting their application to extend this programme, and would recommend to other schools that they take up this opportunity. If you would like to support or partner with Undefeated, please get in contact with us.